The logistics are a bit complicated, but they involved two twin mattresses, my truck, some passalong hostas, finding a window of opportunity (WOO) to haul the mattresses from my sister-in-law to my sister (in my truck), plus finding time to dig up some hostas I had, recently dubbed the "Martha Hostas" because they originally came from a friend of my sister-in-law's named Martha who passed away last fall, and taking those to my sister-in-law, who is creating a memory garden for her friend. Unexpectedly, but expectedly, my sister called me yesterday morning and asked if I could get the mattresses after work. Sure, why not. Then my sister-in-law sent me a text to ask if I could bring some plants. Sure, why not. My plan was to go home, dig and divide as many plants as I could in one hour, including the Martha hostas, take those in the truck to my sister-in-law's house, plant those plants, load the two mattresses on my truck and take those to my sister. Approximate distance between those two locations, by the way, is 25 miles. And the first plant I dug up? The columbine that I didn't like in my own garden. Now it lives in my sister-in-law's garden where it has been elevated from a plant that I bought on a whim and then didn't like in my garden to a passalong plant. A passalong plant. A special plant. A plant with a history. A plant with memories involving mattresses, hostas, special friends, the image of me with two mattresses on the back of my truck deciding to drive all the way through the city because I had visions of that top mattress sliding off while I was on the interstate even though I had it all tied down tight, and a full moon that was low in the sky and quite beautiful. Grow well, flower long, and enjoy your new home, you lucky, lucky columbine! 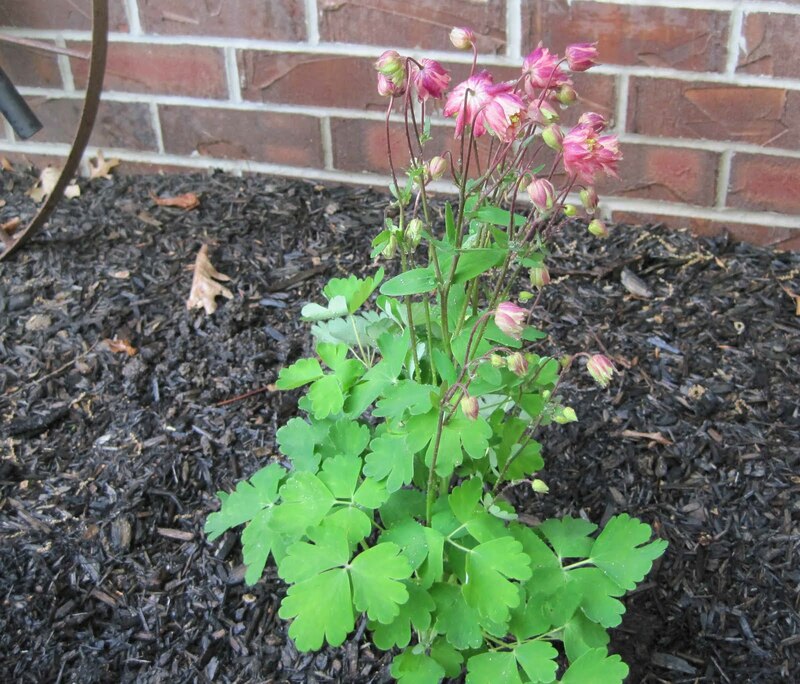 Glad you found a home for the columbine. And now I understand why those passalongs are so special to me. Good job coordinating all of that. Glad the plant found a new home! I think that Columbine is beauteous and I'm proud that I played a role in it finding a home that will appreciate it and love it and see the beauty in it! Good to hear that there was a happy ending. You are so right about the passalongs -- they always come with memories, and that makes them more precious. 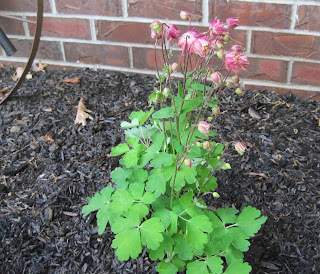 I planted some native columbine from seed last year, and they're blooming now, a pretty pale red. I'm so glad you found a happy home for the columbine that you didn't like - as well as all those other things. Good day's - or evening's - work! Flowers and plants with histories are the best kind. I have moved plants as I have moved houses. Taking a bit here and there to continue my journey. Aw, I'm a sucker for happy endings, and that one had quite a story. 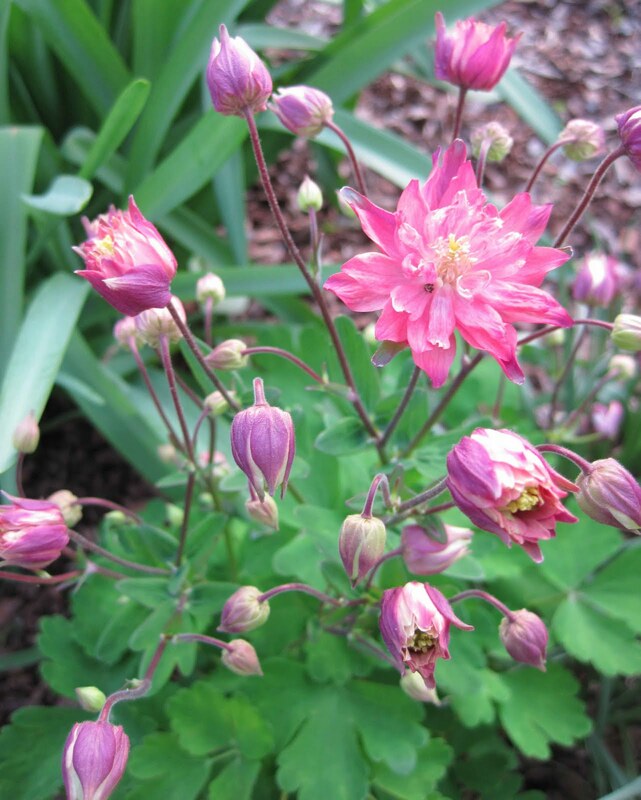 I have to agree, I like the more usual columbines myself. Wish I could grow them down here.